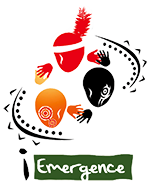 iEmergence is a non-profit/non-stock organization committed to seeing indigenous communities rediscover their unique cultures and traditions while at the same time, learning how to express them in a contemporary context. Through the use of Asset-Based Community Development (ABCD) methodologies we focus on equipping the leaders of the emerging generations in indigenous community and raising awareness on the current realities of IP communities, through advocacies, trainings and indigenous gatherings using ABCD approach. iEmergence considers the best practices of the past as well as the existing local assets as the central components in building stronger, more sustainable communities for the future. We are a catalyst for building pathways for indigenous youth, young adults, their families and communities to engage in culturally appropriate holistic transformational development.